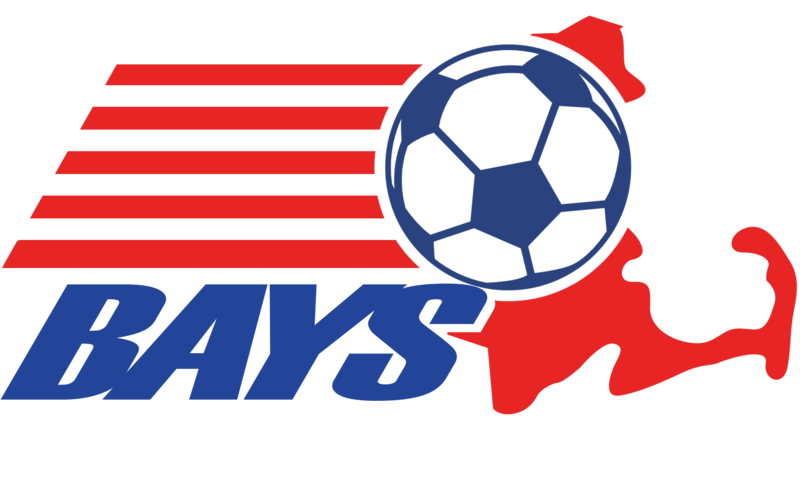 The BAYS board of directors will establish annually the playing times for each age group and will provide this information in the registration materials for the upcoming season. All teams must play each game as scheduled or properly rescheduled; or else the team responsible for the match not being timely played will be assessed a forfeit by the division director. All references to season week numbers refer to the 10-week BAYS schedule – even for Grade 10 and above, which plays a different schedule. Rescheduling Games. Any rescheduling of games requires written notification to the appropriate division director. Such written notification may be made by email, by fax, or by regular mail. Mutually agreed upon preponements. Any game can be preponed upon mutual consent of both coaches. The section captain and division director will be notified as soon as the preponed game has been played. Religious Holidays -- From time to time the BAYS spring or fall game schedule conflicts with the observance of a religious holiday. Longstanding BAYS policy is to allow any coach or member organization the option of preponing or postponing a game where such a religious conflict may exist. All BAYS coaches and BAYS member towns are expected to cooperate in assuring that players and their families are able to choose freely and without pressure between religious observances and participating in BAYS activities. It is expected that a player who chooses to observe a religious holiday in lieu of playing soccer will not jeopardize his or her playing time or position on the team in future games as a result of such choice. Memorial Day Weekend -- A team may for any reason, unilaterally prepone its regularly scheduled game for Memorial Day weekend. This requires notice (see below) to the opposing team and the division director by May 1. Columbus Day Weekend -- A team may, if it is planning to play in a tournament that weekend, unilaterally prepone its regularly scheduled game for Columbus Day weekend. This requires notice (see below) to the opposing team and the division director by September 15. Notice -- In any notice of a unilateral preponement (under 2b and 2c above), the opposing team must be offered three dates (all of them prior to the holiday weekend) on which the game can be played. If the preponement or postponement is due to a religious holiday (2a above), the three dates offered may be before or after the holiday but within the time guidelines provided for unplayable field situations. If agreement on a date cannot be reached, both coaches will notify the division director, and he/she will choose a mutually feasible date, which then becomes the rescheduled date. This rescheduling must be agreed to by both coaches and approved by the division director no later than 9:00 PM of the Wednesday before the originally scheduled date. For Grade 8 and below: no later than three weeks after the original scheduled date (season weeks 1 to 7), or two weeks after week 8, or one week after week 9, or by the Monday after week 10. For Grade 10 and above: no later than three weeks after the original scheduled date (season weeks 1 to 7), and by the Monday after week 10 for all other games. If the two coaches cannot agree on a date, time and site certain by the indicated deadline, the division director will select a date, time and site that is feasible for both teams, and that will become the rescheduled date. The determination that a field is unplayable is not the decision of the home team coach. A designated official of the home team’s sponsoring organization must make the decision. If a field is declared unplayable, the home team coach shall notify the away team by 7:00 am on the day of the game (for morning games), or by 10:00 am (for afternoon games). In situations where field conditions continue to deteriorate, the referee has final authority to declare a field unplayable at game time. However, the referee does not have the authority to declare a field playable if the official in charge of fields for the home team’s soccer organization has declared the field unplayable. This rescheduling must be agreed to by both coaches and approved by the division director no later than 9:00 PM of the Wednesday after (season weeks 1 to 9), or the Sunday of (10th week) the original scheduled weekend. If the two coaches cannot agree on a date, time and site certain by the indicated deadline, the division director will select a date, time and site that is feasible for both teams, and that will become the rescheduled date. For Grade 8 and below, the game must be rescheduled to be played within three weeks after the original scheduled date (season weeks 1 to 7), within two weeks after week 8, within one week after week 9, or by the Monday after week10. For Grade 10 and above, the game must be rescheduled to be played within three weeks of the original scheduled date (season weeks 1 to 7), and by the Monday after week 10 for all other games. Where a game must be rescheduled because of a field scheduling conflict or an unplayable field, if the division director determines that either coach has not made a reasonable effort to reschedule the game, then the division director shall declare a forfeit, or a double forfeit, depending on the circumstances and so notify the coach(es). Games not played for other reasons. It is the policy of BAYS that teams should make every effort to play games on or before the scheduled date. Agreements by coaches to postpone a game are strongly discouraged. If a game is not played by its scheduled date for a reason other than a field conflict, an unplayable field, or a religious holiday, the division director shall assess a double forfeit. However, if the division director determines that one of the teams was ready to play on the scheduled date, the director has the discretion to assess a single forfeit instead of a double forfeit. In the interest of playing as many games as possible, coaches may voluntarily agree to make up an unplayed game for which a single or double forfeit has been assessed. If the game is played within the following criteria, the division director shall remove the forfeit(s) and accept the results of the played game. For Grade 8 and below, the game must be played within three weeks after the originally scheduled or rescheduled date (during season weeks 1 to 7), within two weeks after week 8, within one week after week 9, or by the Monday after week 10. For Grade 10 and above, the game must be played within three weeks after the originally scheduled or rescheduled date (during season weeks 1 to 7), and by the Monday after week 10 for all other games. If BAYS announces time extensions for rescheduling games (which frequently happens for wet Spring seasons), such extensions shall apply to games postponed by mutual agreement, as in paragraph 6. Either the time limits of paragraph 6, or the extensions announced by BAYS may be utilized-but not cumulatively. If the time period for rescheduling ends on a Saturday, the time period will be extended by an additional day to include the next day, Sunday, as well. And, should that weekend be a traditional Monday holiday weekend (e.g. : Columbus Day, Memorial Day) the time period will be extended to include that Monday as well. Once rescheduled with the agreement of the division director, a makeup game becomes a scheduled game and must be played as rescheduled. Failure to play a makeup game as rescheduled (except for unavailable or unplayable field) will be cause for declaration of forfeit by the division director. Failure to notify the division director in advance of a rescheduled game which is actually played within the allowable time limit will not be used as grounds for declaring a forfeit. If a rescheduled game is not played as rescheduled and a dispute arises as to which team is responsible for the games not being played then, the division director may award either a single or double forfeit, depending on the facts available to the division director. A rescheduled game may be further rescheduled if on the originally rescheduled date there is a field scheduling conflict or unplayable field. It is the responsibility of both home and visiting team coaches to email or phone the results of a game to their section captain within 48 hours after the game.